Nice to know they have put the "My Buttons" back into the menu system that other Sony consumer cams have. Looks like they have fixed a lot of the things I wish they had done for my CX700. Check the backfocus though would really like to know if this is improved from the consumer version. You will find that it almost sees in the dark if it like the CX700 with virtually no grain at least compared to my NX5U. On the CX700 the focus has to be selected for ring operation for the feature to work and I wonder if that is the same on the NX70 and whether there is the option to override and set to on if the ring is not currently assigned to focus. The CX700 also has peaking and zebras. Would make a nice set!!! My cx560 was the worst for focusing in low light it was always hunting for something to lock onto, and was very very slow in normal light. My nx5u had focus issues in low light but nothing like the cx560. Hope the nx70 is much better. So far it sounds very good how is the image stabilization. Focus tracking is pretty fun and fairly accurate, frame an object press the screen and a box appears around the object and the focus locks on until you press to cancel focus tracking! Camera also has a low lux function that gains up to 24db - grainy. 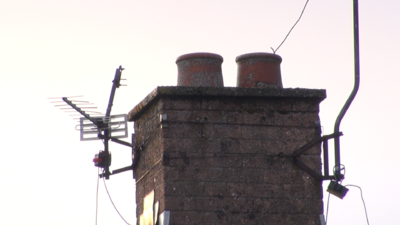 Image stabilisation in my opinion is very good. Simon will it let you set gain manually to 0 or even like -3 , or -6 gain. Low lux must be an auto type function to jack it up to 24db. Good to hear that the OIS is great like most sonys. That is the range on the CX700 of course it cannot be set manually. The active steadyshot is quite simply amazing. I have taken some test shots (not a masterpiece) to see if the fringeing is present on telephoto. 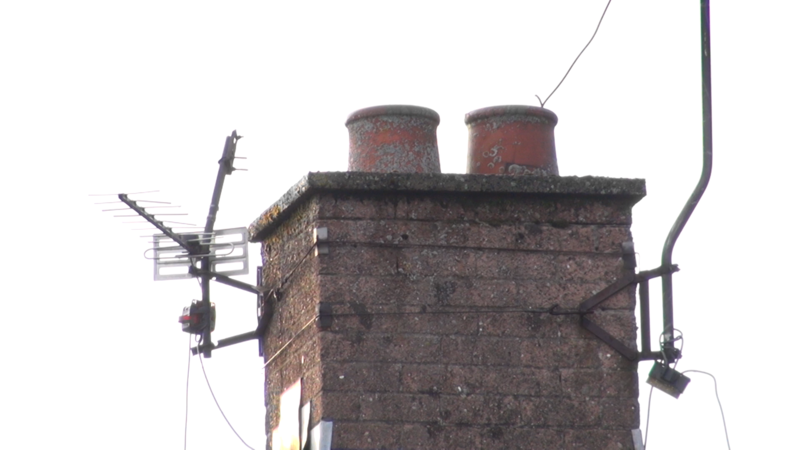 I use a house across the street with a TV antenna and chimney, which always causes problems with fringeing. I do think I will need to buy a couple of ND filters soon, but time will tell. I like this camera more and more cant wait to see some clips. OK, here's a couple of stills looking at fringeing. Disclaimers: I do not know this camera inside out yet, this was handheld and I need a lot more time to work this all out. I need to get this on a tripod and think a lot more about it. Probably not even exposed correctly! There _is_ purple fringeing at full telephoto, with a very bright background (bright sunlight) and fine detail (TV aerial and lead flashing on the chimney). In my opinion, this is no worse than I saw on My Sony V1E. Pixel-peepers may be annoyed by it, but it's an extreme condition which is far from typical. I saw similar on a BBC News report (when the Queen was in Dublin, they zoomed in on a tower at Dublin Castle), and I'm pretty sure they have bigger and more expensive cameras than this! The two pictures are at f5.6 and f8, straight dumps from Premiere Pro. I'd like to try this with an ND filter or two so I can keep the iris a bit wider, but that will have to wait. Although I could be wrong, it is my understanding that lens diameter affects purple fringing, also known as Chromatic Aberration. The smaller the lens the more noticeable the C.A. The NX70 has a 37mm lens. For comparison, Canon's XA10 and XF100, both have 58mm lenses. Mike, I have a variable ND filter that works well with my CX700. Don't know whether exposure values are present on the LCD like the NX5U, can't tell from the manual but that would make setup a little easier than the guessing for the CX700 !!! I have some really good shots with the CX700 on my ski trip using the variable filter and skiing down next to my grandson. The image stabilizer makes the shot really steady. Even for an old guy like me hand holding the camera out in front as I ski. I expect the NX70 to be as good or hopefully better.